The highlight of the conference week is the banquet on Thursday night where attendees gather to honor ocean optics community award recipients. After dinner is served, a performance by a local Croatian group will take place, followed by presentations of the Jerlov Award and Best Student Paper Award. The evening will conclude with dancing with live music provided by Teatar, a local Dubrovnik rock/pop/dance band. 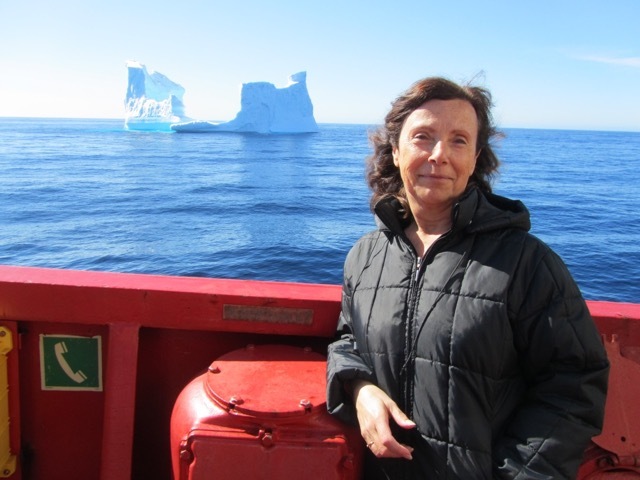 The Oceanography Society is pleased to announce that Dr. Annick Bricaud has been selected as the 2018 recipient of The Nils Gunnar Jerlov Award recognizing her contributions to the advancement of our knowledge of the nature and consequences of light in the ocean. Dr. Bricaud is recognized internationally for her groundbreaking contributions to ocean optics, which cover experimental and theoretical studies on seawater optical properties, fieldwork-based bio-optical relationships, and algorithms for deriving biogeochemical products from satellite ocean color. She is a senior research scientist at the Laboratoire d’Océanographie de Villefranche (LOV), CNRS – Sorbonne Université, Villefranche-sur-Mer, France, which she joined in 1976. Her 75 papers received the outstanding number of 11,400 citations, and many opened new avenues of research. Annick mentored numerous students, in France and worldwide, and has a long record of contribution to community service. She is among the first female researchers in optical oceanography. About the Award. 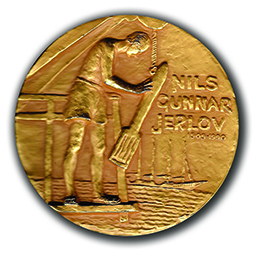 Nils Gunnar Jerlov was an early leader in the area of ocean optics research. His name is recognized widely within the entire international oceanographic research community. Jerlov’s theoretical and experimental work on ocean optical and related processes helped form the foundation of modern ocean optical research. He proposed the concept of an optical ocean water mass classification and the Jerlov water types are familiar to many outside of the ocean optics community. His book, Marine Optics, published in 1976, remains widely referenced and is considered required reading for all students of ocean optics and ocean color remote sensing. The Oceanography Society (TOS) commemorates Dr. Jerlov and his many contributions to the study of light in the ocean with an international award, established in his name. For more information visit: https://tos.org/jerlov-award. The OOXXIV Planning Committee selects the winner of this award based on a review of extended abstracts. The winner of this award will receive a check for $500, a certificate, and will have their name added to the plaque recognizing previous recipients. All attendees are able to cast their vote for the best oral presentation and the best conference poster. All presentations (except for invited plenary presentations) and posters are eligible to receive a vote. The winners of the Best Speaker Award and Best Poster Award will receive certificates, and their names will be announced to all conference attendees after the conclusion of the conference. Please be sure to view posters during the Monday–Thursday poster sessions. Voting instructions for both of these awards will be provided during registration. All votes must be cast by Friday, October 12, at 16:00.